Agriculture on Japan's, second biggest island, Hokkaido. Agriculture on the second biggest island of Japan, Hokkaido. Breath-taking scenery and well-organised fields create a true work of art. The island of Hokkaido and its agriculture. To get a better idea of how agriculture is organised in Hokkaido and how similar it is to the Netherlands, hover over our logo at the top left of your browser window and scroll down with your mouse. Then compare that image with the picture below. 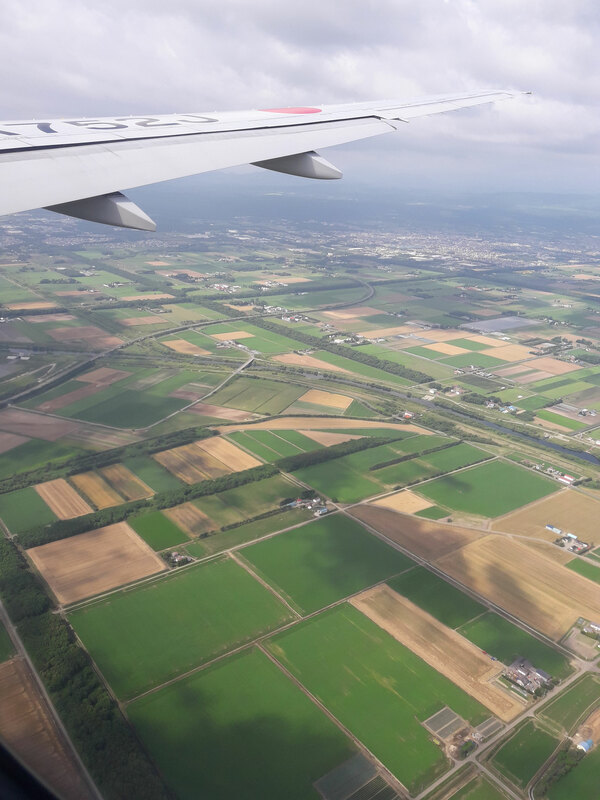 Agriculture plays a large role in Hokkaido's economy, with a quarter of Japan's arable land located on the island. The island ranks first in Japan in terms of the production of a range of agricultural products, including wheat, soybeans, potatoes, sugar beet, onions, pumpkins, corn, raw milk, beef and many other products, including more exotic crops. 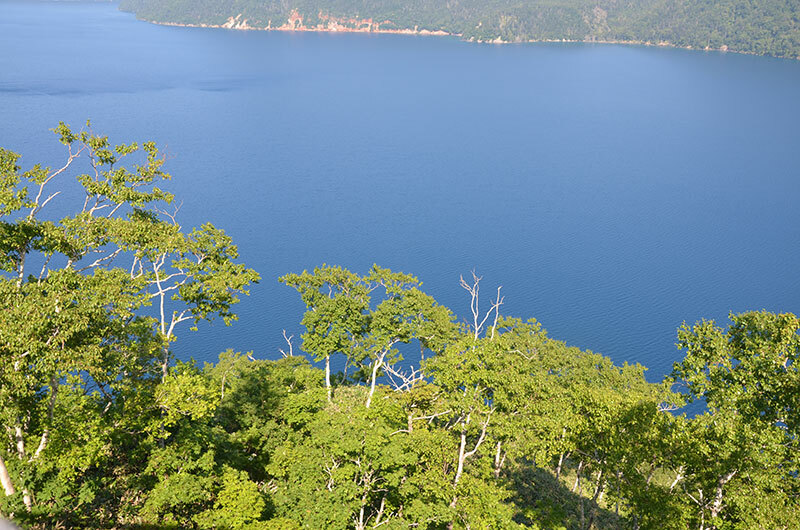 Hokkaido is home to 22% of Japan's forests, which are filled with wildlife such as deer and bears. 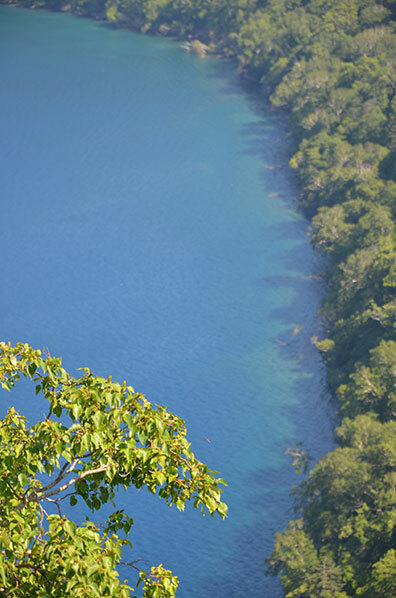 In fact, it is common to see road signs warning drivers about the presence of deer and bears on the island. The range of different products growing side by side indicates just how seriously crop rotation is taken on the island. This was the first time I had ever seen rice and onions being cultivated side by side. Driving from west to east, you pass through a mountain range with beautiful woodland. I asked my host what the red and white arrows meant. He told me they show drivers of the snow ploughs where the edge of the road is when it snows. Siberia, just north of Hokkaido, in August. Hokkaido is Japan's coldest region, with relatively cool summers (I was there at the beginning of August in the middle of a heatwave, when temperatures hit 34° Celsius) and cold, snowy winters. During the winter, temperatures can drop as low as minus 15° Celsius, especially when the north wind blows. When you are walking in Hokkaido during a summer heatwave, it is hard to imagine that the barren and desolate landscape of eastern Siberia is just a one-and-a-half-hour flight to the north. 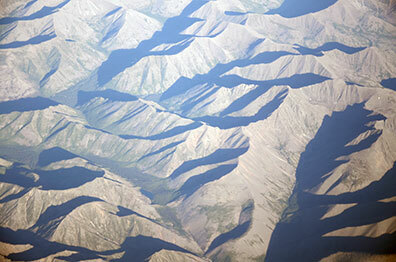 Flying from Amsterdam to Tokyo, you fly hours over eastern Siberia, which is a very barren but impressive landscape and must be extremely cold during winter. 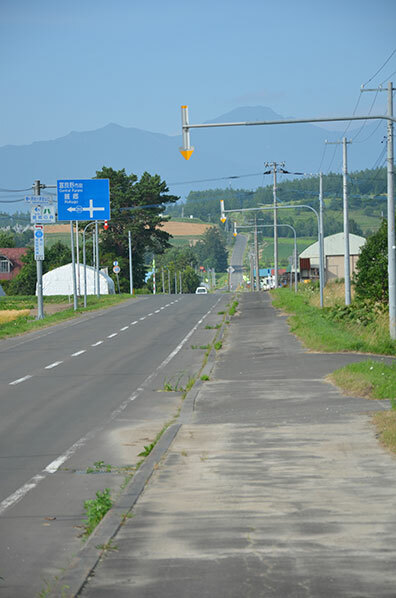 Even in the lowlands of Hokkaido, the edge of the roads are indicated by an arrow, in case of snow. When you first arrive in Japan, it can be hard to order food if you unable to speak Japanese. Even if the menu comes with pictures of the dishes, it doesn't always help, because the food is so different from what we are used to in the west. But if you follow advice from the locals and you are guaranteed to discover some truly delicious dishes. The food is extremely good in Japan. If you are not used to chopsticks, they can be tricky to begin with, but you soon get used to them. And if you are really struggling to eat a certain dish, waiters will happily provide you with a knife and fork, although they might find it rather amusing. Aside from the great food, I must also highlight how exceptional the service is and how clean all of the establishments are. Japan is probably the cleanest country I have ever visited; you won't find a single piece of litter on the floor. There are no bins on the streets, as everybody is encouraged to take their rubbish home. As a smoker, I didn't dare to drop any cigarette butts on the street, as that would be seriously frowned upon. 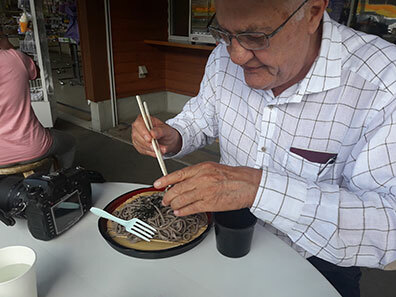 Eating Soba Noodles at a roadside restaurant in Hokkaido. 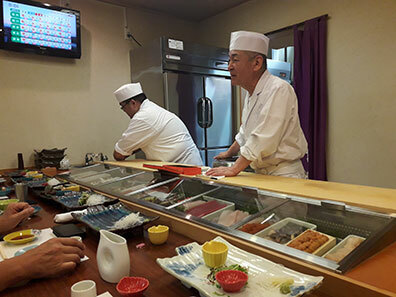 The best Sushi I have ever eaten is a the Izakaya restaurant in Kitami-shi. That's enough tourism for now, so let's move on and take an in-depth look at the onion fields of Hokkaido and how onions are harvested in Hokkaido and in the rest of Japan. Onions ready to be harvested. Before we get into the technicalities of onion harvesting, this page captures the island's sheer beauty in a series of photos.